​achieve optimum health and peak performance through leadership development, vision casting and systems understandings. Jesus was uniquely adept in the art of “reading” people. He fit his approach to the precise needs and interests of the person with whom he was dealing, and he spoke the cultural language of that individual. In this book, Robert Perry takes what Jesus and others have done intuitively - niche marketing - and provides a system for applying those principles in everyday practice. Convinced that congregations can learn from the wisdom of secular disciplines and apply that wisdom to congregational life, without damaging the integrity of the Christian faith, Perry offers a detailed process for using sound marketing principles to identify a congregation’s strengths and the needs of its community,​and to develop strategies for effective ministry. the formal power systems of the church interact with the informal. empowering the laity in a church. visionary and provides the longest-term plan of any way of strategizing. it reduces the level of systemic anxiety. of a mission statement and the development of a plan for an effective future. ​Written by Bob Perry, Ray Spears, and Stephen Welch. 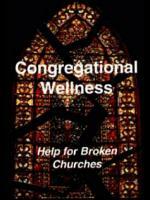 understanding how churches experience health and dysfunction. 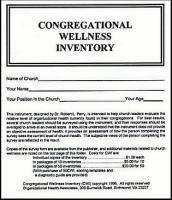 suggests practical ways for improving the health of a church. the inventory, a diagnostic guide and scoring templates. Leadership the Ozarks Way is a study of leadership informed by an understanding and appreciation of the unique culture of the Ozarks. Based on interviews of 30 outstanding leaders with Ozarks connections, the book identifies eight important qualities that make for effective leadership. The book encourages Ozarkers to value their heritage, have confidence in their capacities and pursue excellence in leadership.